Temple History : This pre-existing natural temple is unique, as the shrine has been sanctified in a lush tropical hill forest. In 1972, Gopala Menon, the founder of the temple had a vision of Sri Chakra, instructing him to build a shrine for Naga Amman, in a nearby hill forest. After receiving the vision, he immediately set out to the hill. After clearing up a path, he found several natural formed snake mounds and also an earthen bee hive. The natural formed earth mounds were seated below an arched limestone, that resembled a ‘pancha mukam’ (five faced) snake hood. Gopala Menon started meditating at that area, and experienced peace and serenity. He was told that he was from a lineage of Naga Amman devotees, and was entrusted to take care of this temple. He then was given another spiritual instruction, to dig up a well at the bottom of the hill. At the precise location was an underground spring, and was to be used to wash and cleanse the devotees before proceeding to the shrine. Naga Amman had blessed Gopala Menon with inner vision, and therefore was given spiritual instructions easily. The snake mounds were the private abode of Naga Amman and her seven virgin maidens. 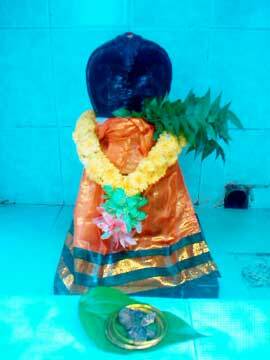 Also present, was a ‘siddhar’ (holy person possessing supernatural powers), who lived in the bee hive. After which, Gopala Menon came daily, lighted up camphor for the shrine and performed prayers. Soon, many devotees started attending the prayers and word got around about this hill forest temple. Many ardent devotees witnessed the movement of ‘nagas’ (divine serpents) around the vicinity of the temple. Some have witnessed a golden hued ‘naga’ coming out from the mound, slithering away into the forest. Other devotees have heard ‘Naga Kanni Oli’, whereby is a powerful sound indicating the movement of ‘nagas’. One particular day, Gopala Menon found a coconut with a trunk shaped shoot. He was then instructed by Naga Amman to build a shrine for Lord Ganesha at the bottom of the hill. 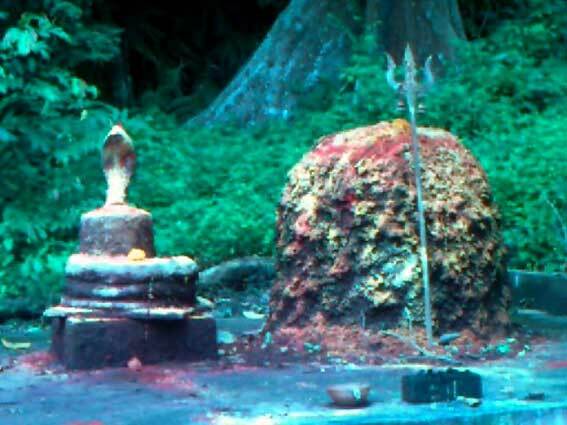 This was to allow devotees to obtain blessing from Lord Ganesha prior to ascending the hill forest temple. Certain rules were established by Naga Amman, and conveyed to Gopala Menon. Those were to restrict devotees ascending the temple hill after 7pm, as the ‘nagas’ would come out in human form during this period. Naga Amman also advised to restrict menstruating women praying at the shrine, prohibit meat and alcohol, and to disallow footwear on the sacred hill. Devotees wishing to perform prayers for Naga Amman are advised to bring fresh cow’s milk, jasmine flowers, ‘payasam’ (sweet dessert) or ‘sakkara pongal’ (rice pudding). 5, Lorong Esa, Bukit Pasir, 84300 Bukit Pasir.